Today I'd like to feature an exciting new business that provides support for people interested in blogging. PopCred is an all-in-one resource for bloggers. It provides Word Press blogs, hosting, domain names, tutorials, seminars, and other resources for people who want to learn how to start a blog and for those who want to make money blogging. The PopCred site was developed by Alison Moore Smith who is a professional blogger. She noticed that there were many people who wanted to start a blog but didn't know how to create a successful one. 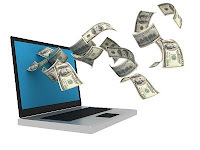 Many others already enjoy blogging, but few know how to make money with their blogs, so she started offering seminars on how to make money blogging. The concepts and principles Alison teaches are not theoretical. They are things she has been doing successfully since the mid 90's. I recently attended one of her seminars on how to monetize your blog and gained quite a bit of valuable information. For someone with 5 blogs and over 800 posts under my belt, I found it to be very helpful as well as affordable. I am currently in the process of changing blog providers and utilizing the PopCred services in order to be a more effective blogger. I appreciate the fact that Alison does not promote her business as a get-rich-quick idea. She makes it clear that with any venture, success requires hard work and patience, but it is much easier to be successful when you follow the advice of someone who has already done what you are trying to accomplish. You can see and compare the many different services that are available at PopCred.net.